If you have been arrested for Driving Under the Influence in Gwinnett, experienced Gwinnett County DUI lawyers James “Skip” Sullivan and Bob Chestney are available to discuss your case anytime – including after-hours and weekends! Mr. Chestney is Board Certified in DUI Defense by NCDD (National College for DUI Defense) and Mr. Sullivan is a former prosecutor. Our Gwinnett County DUI lawyers offer a free in-office consultation on how we can effectively defend your Gwinnett DUI charges. Call us today at 404.816.8777. Whether your Gwinnett Driving Under the Influence arrest occurred in Lawrenceville, Duluth, Suwanee, Snellville, Lilburn, Norcross, or anywhere in Gwinnett County, contact our experienced Gwinnett County DUI lawyers today. We offer a free consultation. Being arrested for a Gwinnett Driving Under the Influence charge can be a stressful experience. You probably have many questions about your case including what penalties you may face if you are arrested for Driving Under the Influence in Gwinnett County? What is the court process in Gwinnett County? What possible defenses are there in my DUI case? You may also have concerns about your ability to drive and a possible license suspension. People come to us because we provide the absolute most vigorous defense available to those facing DUI charges in Gwinnett. And in the majority of cases, we are able to protect their freedom, ability to drive, and criminal record. You may not feel at this time that you have a strong opportunity to avoid a conviction for the charges you face. But the law provides protections to you that are very important that may lead to a successful defense in an otherwise seemingly indefensible case! We are available to answer your questions and we understand the anxiety you may be experiencing. Our Gwinnett DUI lawyers can put your mind more at ease as we explain the court and investigation process as well as how we successfully defend DUI charges in Gwinnett County. Our DUI lawyers are available anytime to discuss your case – including weekends! Call us at 404.816.8777 today. When your Gwinnett Driving Under the Influence case begins in any one of the municipal courts or Recorder’s Court in Gwinnett County, if you demand a jury trial, the municipal court or recorder’s court loses jurisdiction over your Gwinnett DUI case and it is transferred to the Gwinnett County state or superior court system for prosecution. 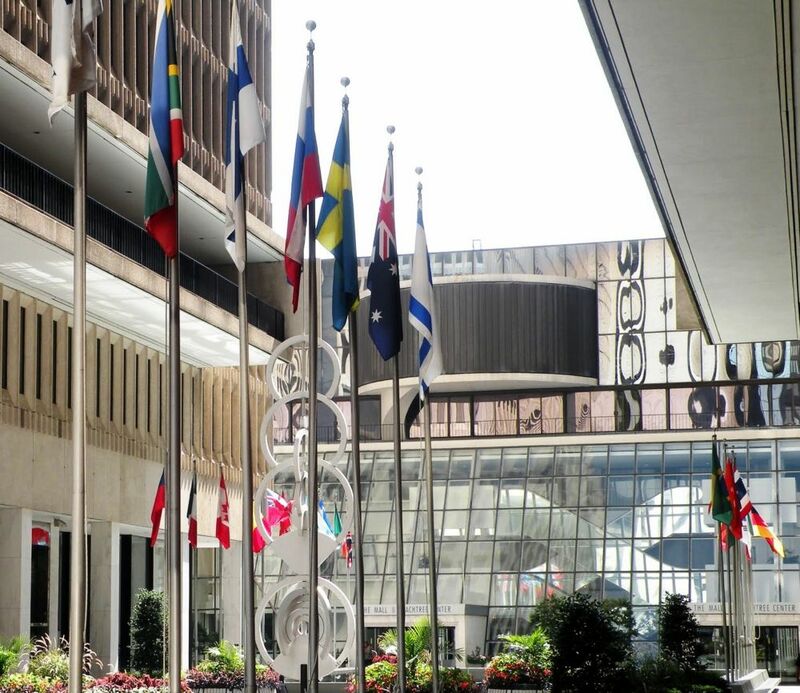 Sometimes preserving you right to a jury trial is the best option if the prosecution in municipal court or Gwinnett County Recorder’s Court refuses to negotiate an acceptable resolution in your case. 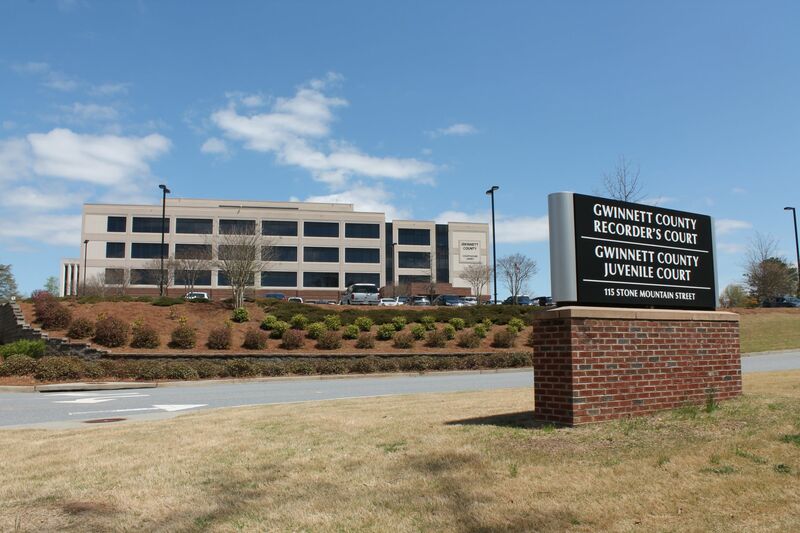 Some Gwinnett municipal courts simply will not allow a Driving Under the Influence case to be tried in their jurisdiction, leaving the only option to contest your Gwinnett DUI case is in the Gwinnett County State or Superior Court system. If your misdemeanor Gwinnett DUI case was made by the Gwinnett County Police Department, then your case will likely begin in Gwinnett County Recorder’s Court. Recorder’s Court currently has three judges: Chief Judge Michael Green, Judge Rodney Harris, and Judge Ramon Alvarado. 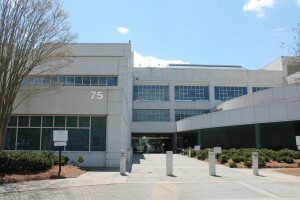 Typically one to two prosecutors (called solicitors) from the Gwinnett County Solicitor’s Office are assigned to each courtroom in Recorder’s Court. Our Gwinnett DUI lawyers are familiar with how each judge handles cases in Recorder’s Court. The Gwinnett County Solicitor’s Office is responsible for the prosecution of your Gwinnett DUI when you request a jury trial in a municipal court or recorder’s court as your case will be prosecuted by their office, if it involves misdemeanor charges. The solicitor’s office is also responsible for prosecuting your case if it is sent directly to the Gwinnett County State Court, bypassing Recorder’s Court or any of the municipal courts in Gwinnett County. The current elected Gwinnett County Solicitor is Brian Whiteside. Brian Whiteside won the Gwinnett County Solicitor General election in 2018. 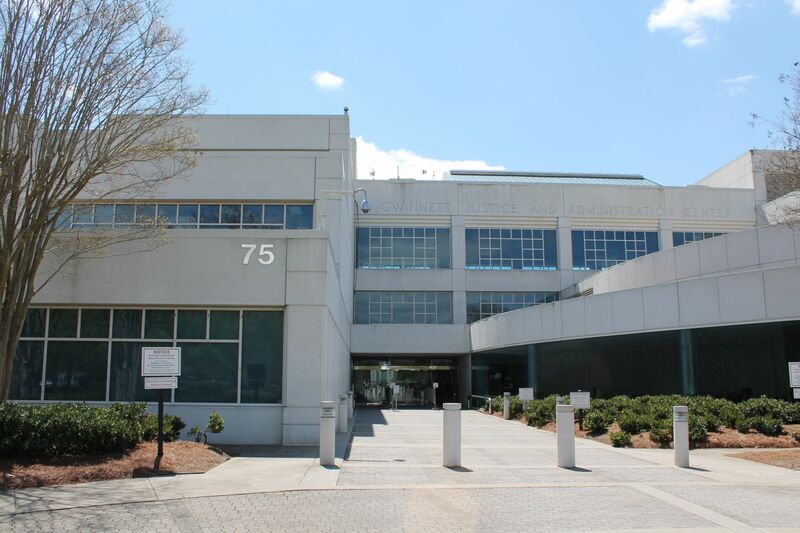 In general, two prosecutors are assigned to each courtroom in Gwinnett County State Court. There are many times when a jury trial is the best possible option to avoid a DUI conviction in your Gwinnett DUI case. Because the Gwinnett County Recorder’s Court and municipal courts do not conduct jury trials, your case would need to be transferred to the Gwinnett County State Court for trial. Gwinnett State Court currently has six state court judges and two senior state court judges. the six state court judges are Chief Judge Pamela South, Judge Carla Brown, Judge John Doran, Jr, Judge Emily Brantley, Judge Shawn Bratton, and Judge Ronda Colvin Leary. Your case will be assigned to one of the six judges once your case is filed with the Gwinnett County Clerk of Court. Our Gwinnett DUI lawyers try Driving Under the Influence cases in Gwinnett County on a regular basis. Because we frequently contest DUI cases in Gwinnett County State Court, we are familiar with the judges and the prosecutors who will be handling your case. Even though your case may have been sent to Gwinnett County State Court from a municipal court or Gwinnett Recorder’s Court, there are also times the facts of a particular Gwinnett DUI may be best suited for a “bench trial” (a trial where the judge decides the case instead of a jury) in state court. This determination is usually made after an investigation in your Gwinnett DUI is complete, where we look to the judge assignment, the facts of the case, and the legal issues involved. The Gwinnett County Police department has a specialized DUI Task Force. The Gwinnett DUI Task Force officers, like all Gwinnett County police officers, have received at a minimum 16 hours of DUI training in the police academy. Most Gwinnett DUI Task Force officers trained have received an additional 24 hour standardized field sobriety course endorsed by the National Highway Traffic Safety Administration (NHTSA). Some Gwinnett DUI Task Force officers have received additional DUI training such as ARIDE (Advanced Roadside Impaired Driving Enforcement), or DRE (Drug Recognition Expert). All of the Gwinnett County DUI Task Force officers are certified by the Georgia Bureau of Investigation to operate Georgia’s newest breath testing instrument, the Intoxilyzer 9000. Our Gwinnett DUI defense attorneys know how to challenge a Gwinnett DUI. We are all trained in Standardized Field Sobriety evaluations. Mr. Sullivan was certified in Standardized Field Sobriety evaluations by SFST instructors with the Conyers Police Department and Rockdale County Sheriff’s Office. One of the benefits of investigating and contesting a Gwinnett Driving Under the Influence charge, is that most of the Gwinnett DUI Task Force vehicles are equipped with video and audio. Their video equipment has some features similar to a DVR or TVO that many people have at home for their TV’s. Their equipment is continuously recording, but will not preserve anything until the officer either manually activates recording, or the officer activates his emergency equipment (lights). Then the video will preserve somewhere between 30 and 60 seconds of time before activation and typically the Gwinnett DUI officers will run their video until it is turned off when they reach the jail or their final destination. Many of the Gwinnett Police officers have body cameras that will be provided to us by the Solicitor’s Office. Videos can also be obtained or viewed through the court process. Members of the Gwinnett County Police DUI Task Force include: N.S. Bezon, P.J. Ellen, F. McDaniel, S.C. Mycols, J. Myers, and Sgt. T. Sage. Gwinnett Officers Dennis Hornes, Jonathan Kelly, Shawn Mycols, and Joshua Swaim were awarded the MADD Red Pin in 2014 for the amount of Gwinnett DUI arrests they made the previous year. Gwinnett Officers Wes Bagley, Christopher Baily and Matthew Williamson also received MADD Gold Pins for the amount of Gwinnett DUI arrests they made the previous year. Gwinnett Officers Jordan Cyphers, Brooks Harter, Jonathan Hensley, Brian Notestine, and Daniel Ondic received MADD Silver Pins for the amount of Gwinnett DUI arrests they made the previous year. Gwinnett Officer Michael Blute received a Blue DRE Pin and Gwinnett Officers Joshua Swaim and Patrick Adams received Red DRE Pins in 2014. To build a strong DUI defense in Georgia, our Gwinnett County DUI lawyers start by meeting with you about your Gwinnett DUI case and learning as much as possible from you about what happened. Using this core information, our own in-house investigator can look for more evidence to help our defense by using specialized resources as needed to determine if all testing and other details of your arrest were accurate and legal. Our investigator gathers information, videos, 911 calls, possible surveillance videos, police reports, documents road/scene conditions and more. There are also times when we use the services of toxicologists, an accident reconstructionist, private investigators, breath test/field sobriety experts, medical professionals, video illustrators, to name a few, to help build a solid defense in your Driving Under the Influence case in Gwinnett County. Our Gwinnett DUI lawyers then analyze your case starting with whether the initial stop or reason why the police were involved was legal. We also look for suppression issues with the admissibility of field sobriety tests or state chemical tests (breath, blood, or urine tests). Our DUI attorneys meeting as a group then develop strategies in how to best conduct the license suspension hearings, preliminary/committal hearings, motion hearings, and trial. Our team approach is an effective way to ensure we are prepared to defend your Gwinnett DUI. All of our lawyers are involved in your case. Our DUI defense lawyers have regular meetings on all of our cases, so the lead DUI lawyer can get as much input as possible in developing a winning strategy in your Gwinnett DUI case. Can I just enter a guilty plea myself to Driving Under the Influence and avoid hiring an experienced Gwinnett DUI lawyer? You can put your driving privileges in jeopardy if you simply go to court and enter a guilty plea by yourself. If you have been arrested by a Gwinnett DUI officer (or any Georgia police officer), you should have been served notice of an administrative license suspension action. If you enter a guilty plea without properly addressing the license suspension action, you will not be able to get a limited permit (if you are eligible to get one at all) until and unless the administrative action is conducted properly. If your license is suspended for refusing the Gwinnett DUI officer’s chemical test from losing a license suspension hearing or failing to address a license suspension action within 30 days from the date of your arrest, your Georgia driver’s license or driving privileges will be suspended for a year with NO PERMIT. Properly coordinating and handling the Gwinnett DUI criminal charges and the license suspension action can improve your chances of being able to drive. Other charges in addition to your Gwinnett DUI charge may be more serious and carry more punishment than the Driving Under the Influence charge itself. Sometime the prosecutor gives a bad plea offer. Even if you decide not to contest your case, an experienced Gwinnett DUI attorney who is familiar with Gwinnett Recorder’s Court as well as Gwinnett County State Court or Superior Court can assess a plea offer to determine if it is worth taking or whether it is best to take your case to trial. On July 1, 2006, a law took effect in Georgia that expands the available use of search warrants in Driving Under the Influence cases (OCGA 40-5-67.1(d.1)). This law was passed after the Georgia Supreme Court in State v. Collier, 279 Ga. 316 (2005), ruled that law enforcement officers could not use coercion techniques to obtain a blood sample by threatening to get a search warrant and use a catheter to obtain it. The statute at the time of the Collier case prohibited search warrants for bodily substances if a person refuses to submit to a chemical test pursuant to the Georgia Implied Consent Notice. The 2006 legislation was an attempt to expand the use of search warrants in Driving Under the Influence arrests. We believe the final version of the legislation falls short of allowing search warrants for blood, breath, or urine samples when a suspect refuses to submit to a sample after being read the Georgia Implied Consent Notice. The language of “no test shall be given” if a driver refuses the state chemical test is still in the current version of the statute. Our firm is also making a constitutional challenge to how the 2006 statute was passed by the Georgia Assembly (Georgia legislature). If the Gwinnett County Police Officer obtained a chemical sample from you after getting a search warrant, call us today and we can explain in more detail how we are attacking the admissibility of chemical tests obtained by search warrants in Driving Under the Influence cases. Although you may have ultimately given a chemical sample to the Gwinnett County Police pursuant to a search warrant, your officer may still attempt to suspend your Georgia driver’s license or privilege to drive here in this state administratively if you refused initially to submit to a chemical test when the implied consent notice was read. See below on steps that may need to be taken to protect your driving privileges. Besides your Gwinnett DUI criminal case pending in Gwinnett County, you are likely facing an administrative license suspension. There is only a limited time to request this separate hearing to preserve your driving privileges. Whether you refused the State’s chemical test, or the breath test results indicated an alcohol concentration above the legal limit, Georgia law requires your Gwinnett DUI officer to serve you notice of an administrative license suspension. If you have been arrested by a Gwinnett DUI Task Force Officer, you can be sure that they initiated a license suspension action against you. The notice that is used is called a DDS-1205 form. 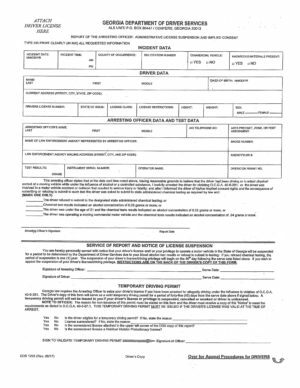 This form is either yellow or white and the officer may have had you sign it. Sometimes this paperwork gets lost (you may have received it, but may have been misplaced, or it may have been lost at the jail). Regardless whether you have actually received a DDS-1205 form in your Gwinnett DUI case, it is important for you to understand that you only have 30 days to request a hearing to preserve your driving privileges or waive your hearing through the Georgia Department of Driver Services by opting for an ignition interlock device permit. Do nothing within 30 days of the date of your Gwinnett DUI arrest: In most cases we do not recommend this path as if you do nothing and your Gwinnett DUI officer initiated an administrative license suspension action, then on the 46th day after the date of you being arrested for Driving Under the Influence in Gwinnett, your driving privileges will automatically be suspended by Georgia Department of Driver Services for one year with no permit to drive. Even if you did not receive the DDS-1205 form as a result of your Gwinnett Driving Under the Influence arrest, we still recommend that you take some sort of action instead of doing nothing. However, there are limited circumstances where we recommend our clients do nothing regarding a license suspension action, but those circumstances are very rare. Request an administrative hearing: This is the traditional track that has been the law for many years now, except now there are thirty days instead of ten business days to take action. This track is where a request for an administrative hearing is submitted to the Georgia Department of Driver Services challenging the Gwinnett DUI officer’s decision to administratively suspend your driver’s license for testing above Georgia’s “per se” legal limit for alcohol concentration, or for refusing your Gwinnett DUI officer’s request for a state administered chemical test of your breath, blood, urine, or other bodily substances. There is a $150 filing fee made payable to the Dept. of Driver Services in order for DDS to process the hearing request. The period a person must successfully maintain the ignition interlock device on their vehicle will be based on whether he or she consents to or refuses the state-administered chemical test requested by the Gwinnett DUI arresting officer. A person who consents to the state-administered chemical test and opts for the new permit will be required to successfully maintain the ignition interlock device on their vehicle for a period of 4 months. If he or she is subsequently acquitted of the underlying Gwinnett DUI charge, or the underlying DUI charge is dismissed or reduced, the ignition interlock device may be removed at no cost and the driver’s license may be replaced. A person who refuses the state-administered chemical test and opts for the new permit will be required to successfully maintain the ignition interlock device on their vehicle for a period of 12 months, regardless of the outcome of the Driving Under the Influence charge in Gwinnett. Contact us today to discuss your Gwinnett Driving Under the Influence case with our dedicated Gwinnett DUI lawyers at 404.816.8777. Our Gwinnett DUI defense lawyers are experienced in handling license suspension actions. We can review your case and prepare a strategy for defending your Gwinnett DUI charges and your license suspension action. So I made a proper request for a license suspension hearing in my Gwinnett DUI case, what happens next? The license suspension action is a civil action separate from your Gwinnett DUI criminal case and only deals with your license or privilege to drive in this state. As a matter of fact, the license suspension action is litigated by a completely separate court from your Gwinnett DUI criminal case. Once the Georgia Department of Driver Services processes your request for a hearing, your case is then sent to the Georgia Office of State Administrative Hearings (OSAH) where a hearing will be scheduled in front of a judge from that agency. Typically a hearing date is set roughly 60 days from the date of your Gwinnett Driving Under the Influence arrest. Once a hearing is requested, the Department of Driver Services will extend your driving privileges until there is an order entered from an OSAH judge. 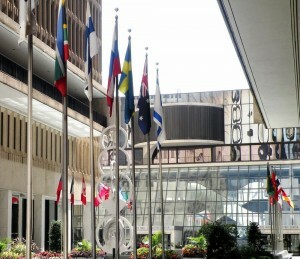 The judge will enforce the Georgia Rules of Evidence, and the Administrative Rules of Procedure – similar to other court proceedings. Because the burden is on your Gwinnett DUI officer to establish that the statutory factors were met, the Gwinnett DUI officer testifies first. Some jurisdictions allow DUI officers to have help from the prosecutor’s office, or if the officer is a Georgia State Trooper, an attorney paid by the State of Georgia assists the officer on direct examination. The Gwinnett DUI officer is then subject to cross-examination. There are times when we may decide to place our clients or other witnesses on the stand for direct examination. Our witnesses would then be subject to cross examination from the other side. Once the testimony and presentation of the evidence is finished, each side can make a closing argument. The judge will then make a decision typically within 5 business days, and will transmit that decision to the parties and the Georgia Department of Driver Services. The decision is also posted on the Office of State Administrative Hearings website. If there is an error in how the judge ruled, there is an appellate process available to review the court’s decision. If the judge finds that one or more of the applicable statutory factors above are not met, then the judge will issue an order reversing the suspension action, transmit it to the Georgia Department of Driver Services, and then Georgia DDS will delete the license suspension action off your driver’s history (no administrative license suspension) and your driving privileges are reinstated pending the outcome of the criminal case. This does not mean that the Gwinnett DUI criminal charges are being dismissed, but an OSAH hearing can be a great tool to gain an advantage in your Gwinnett DUI criminal case. If the judge finds that all of the applicable statutory factors were met by a preponderance of the evidence (a lower standard of proof than beyond a reasonable doubt), then the judge will issue an order affirming the license suspension action and will transmit the order to the Georgia Department of Driver Services, who will then impose the license suspension. Again, because the burden on the Gwinnett DUI officer is so low to meet in these license suspension hearings, there is a good possibility that your license may be suspended, but we still may be able to gain an advantage in the Gwinnett DUI criminal case based on testimony from the license suspension hearing. If the judge committed an error in ruling, the decision can be appealed. Also, if your Gwinnett DUI charge is reduced, dismissed, or you are found not guilty, the suspension is lifted and deleted off your driver’s history as a matter of law. Can I handle the license suspension hearing myself in my Gwinnett DUI case? Because an administrative license suspension from a Georgia Driving Under the Influence arrest is a very complex subject that even many lawyers don’t understand, we strongly encourage you to contact us right away to discuss your Gwinnett DUI case. There are simply too many variables that can impact your driving privileges to be discussed here without knowing the specific facts of your case and your prior criminal history. Remember, you only have 30 days to request a license suspension hearing through the Georgia Department of Driver Services. If you are facing a Gwinnett Driving Under the Influence charge, license suspension action, or have been ticketed for a serious traffic offense, contact our experienced Gwinnett DUI lawyers today. We will meet with you free of charge to discuss your options, and provide advice based on our experience in the court where your case will be heard. Call us today at 404.816.8777. What if I am convicted for a DUI in Gwinnett County? What are the penalties I am facing? If you have been arrested for a DUI in Gwinnett County, it is important to know that there are mandatory Georgia DUI penalties for DUI convictions under the Georgia Code, which are set forth below. The mandatory minimum penalties represent the absolute minimum requirements under Georgia law. Gwinnett Recorder’s Court or Gwinnett State Court judges can sentence you anywhere from the minimum penalty under the Georgia Statute all the way up to the maximum penalty allowed by law. For any general misdemeanor, including your Gwinnett DUI, the maximum penalty could be up to 12 months in jail for each offense charged. Judges also have discretion to add special probation conditions not listed below. Additional penalties outside what is listed below may be imposed for DUI cases with other criminal charges. In our experience, any sentence imposed typically exceeds the mandatory minimum penalty. Contact Chestney & Sullivan Law Firm today at 404.816.8777. A Gwinnett DUI trial lawyer is available 24 hours a day, 7 days a week to discuss your case. Listed below are license suspension penalties for Georgia drivers excluding CDL or other classes of Georgia licenses for DUI alcohol offenses. Additional or harsher penalties may apply to CDL or other classes of Georgia licenses that are not listed below. Additional or harsher suspensions may be imposed as a result of other criminal charges associated with the DUI case. Different suspension penalties may also be imposed as a result of a DUI Drug conviction pursuant to OCGA ‘40-5-63, ‘ 40-5-75; §40-5-76 (permit for Drug Court participants); as well as from any judgment resulting from a Georgia administrative license suspension action. Out-of-state drivers are NOT ELIGIBLE for a limited permit in Georgia unless they obtain a valid Georgia license prior to sentencing. Out-of-state licensees may also face penalties not only from Georgia but from the licensee’s home state as a result of a Georgia conviction for DUI or an administrative license suspension action – even if the out-of-state driver obtains a Georgia driver’s license prior to sentencing. Please contact Chestney & Sullivan Law Firm at 404.816.8777 to more thoroughly discuss the possible implications of an administrative license suspension action on your license and/or driving privileges. We can also discuss with you how we successfully defend Driving Under the Influence charges in Gwinnett. An experienced Gwinnett DUI lawyer with the firm is available 24/7 to discuss your case.